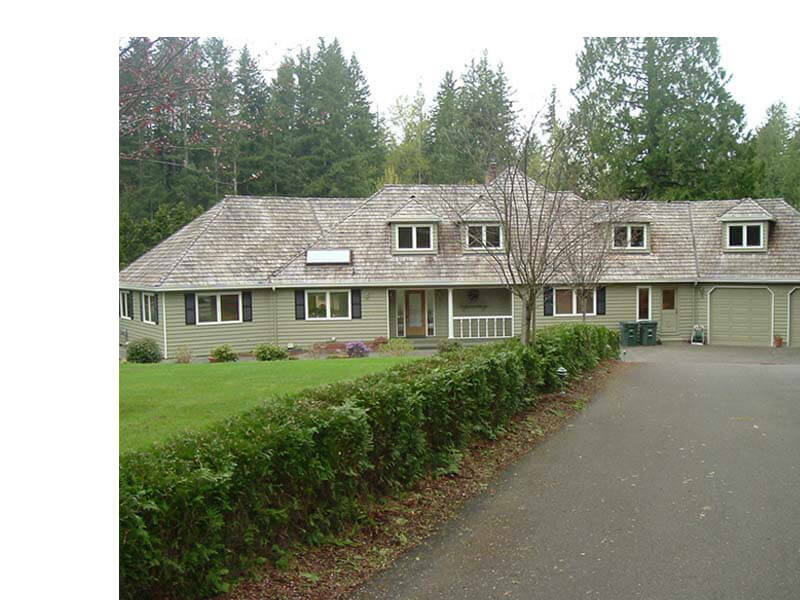 Tucked between Issaquah and the Sammamish Plateau, this Beaver Lake house was little more than a generic development. 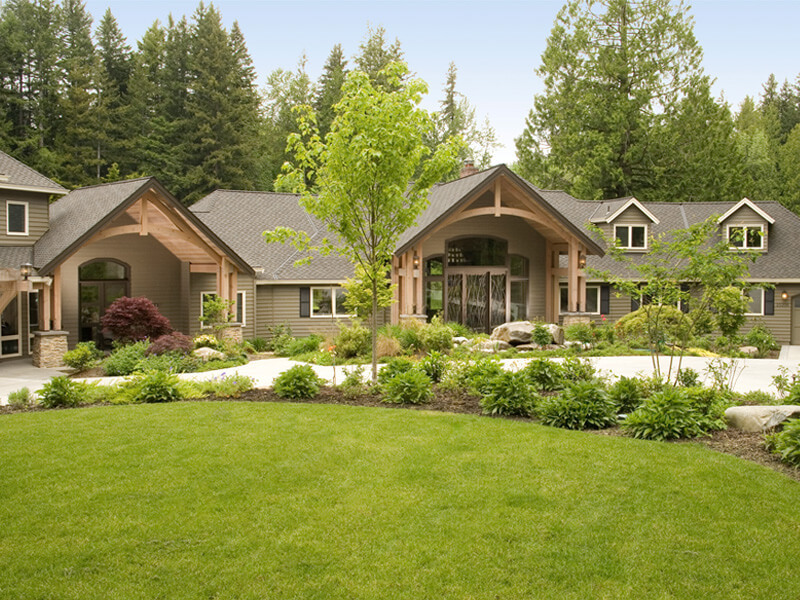 To turn it into a personalized home, EGA took out the middle portion and in its place built up spacious entryway that combined Northwest-style taste with a grander sensibility. The resulting facade was designed to actively draw people to a clear entry for the home. The interior was transformed, adding elegance and spaciousness in the place of a frankly utilitarian living room. Wider windows on the back were added to draw in more light and provide sweeping views of the lake, with extended outdoor spaces to enjoy during the warm months. For more specific needs, a master suite took over the space of an existing playroom and an executive suite built above the new three-car garage addition. This project went from a large but mundane structure to a grand home with deliberate features and better use of space.